Will and I took our kids to the gulf for fall break, and words cannot express the joy of seeing the wonder of the beach through their eyes! It felt like they were unwrapping one of mommy’s all-time favorite gifts. Being at the ocean always brings memories flooding back from different phases of my life and moments from each season…the playing days, the laying days, the floating days, the boating days, the skiing days, the freeing days, the thinking days, the drinking days, the sinking days, the feeling days, the reeling days, the healing days, the falling in love days. Will and I discovered this particular beach on our five-year wedding anniversary, not knowing the treasures it would hold. 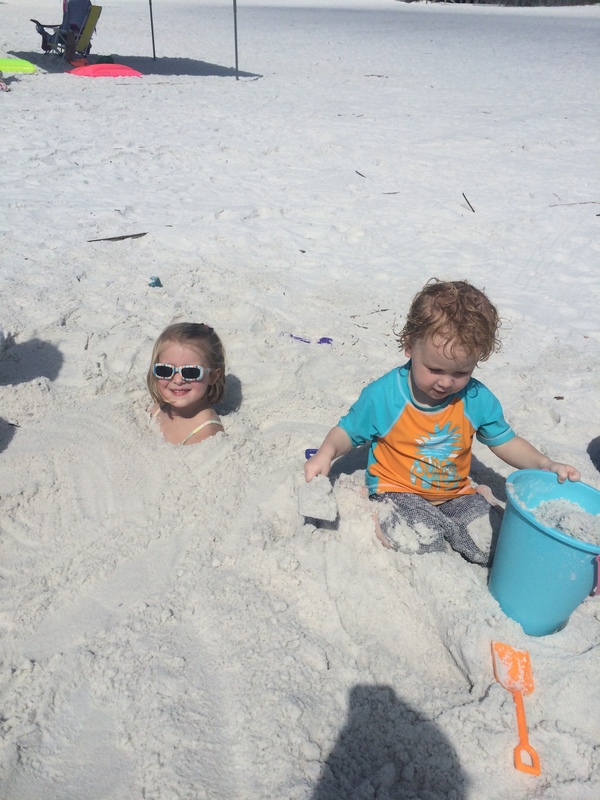 When we thought about our future, we could picture having a family, but we couldn’t quite imagine the fullness of these days…I have named them “The Sandcastle Days”. This stage of life is one that is incredibly sweet and incredibly consuming all at the same time. I find myself wishing it would never pass and also wishing it would pass soon multiple times a day. It’s a fleeting season of timeless moments with little people I never knew I would love so much. Seeing our kids fall in love with the beach reminded me of the preciousness of this season. I hope you enjoy this poem I wrote to capture this time and bottle it up. Mommy, come and play with me. Let’s build a castle by the sea! Mommy, mommy I’m so brave! What does it mean when you say tide? Are there fish and do they bite? Where do they sleep when it is night? Look, here comes a great big wave! Mommy, will you carry me? Can we dig a great big hole? Make it big and bury me. I hear the ocean like you said. Can I take it home with me? Can I keep it by my bed? this castle needs your help to make. Mommy, this is so much fun! There is no need to sit and sun. when our castle is about to fall? Mommy you’re my favorite friend! I think you hung the moon. I’ll run to play with soon. to take me riding on their boat. wishing for a minute more. These are the sandcastle days. Time will wash them far away. I sure am glad we got to play. so glad we built that castle. I’ll have little ones too. I’ll always think of you! This is precious Katie!!! Please make it into a book!!! So so special!! SOOOOOOOOO awesome!! I love this!!! One of my dearest friends in the years of “littles”. She is not missing a minute of these precious moments! Katie is one of my heroes! Get out the tissue. adorable!!! Hope you all are very well! !